This is a sponsored post by A Girl's Guide To Cars and Volkswagen, all opinions are my own. Recently I had the opportunity to attend the first ever A Girl’s Guide To Cars #Drive2Learn conference. 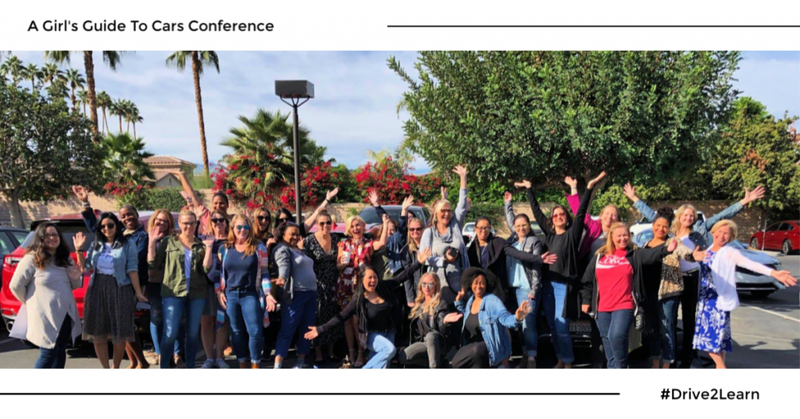 The conference was held in beautiful Palm Springs, California. 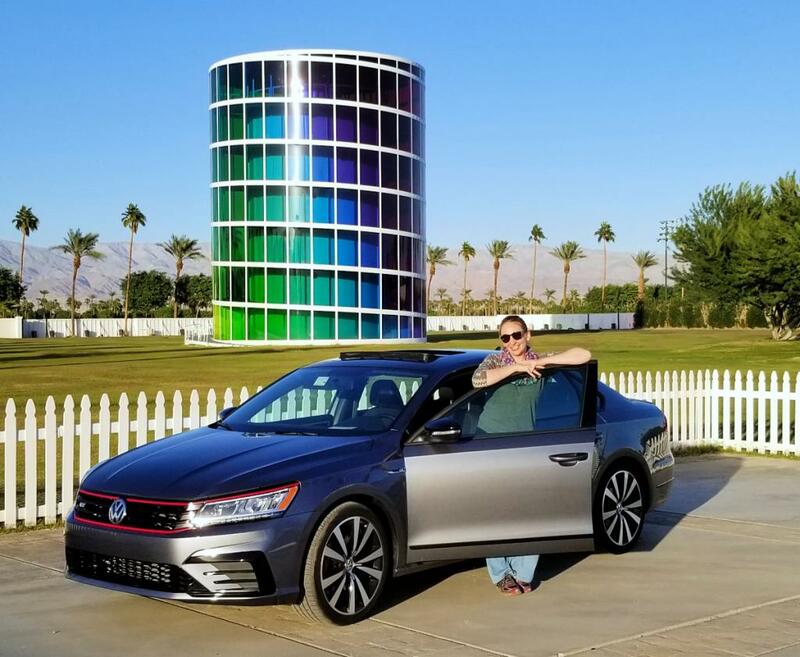 While there I had the pleasure of driving around the new 2018 Volkswagon Passat GT. During this conference, we learned all kinds of things about the automotive industry, how to utilize social media to further our brand and we received loads of tips on writing about automobiles. 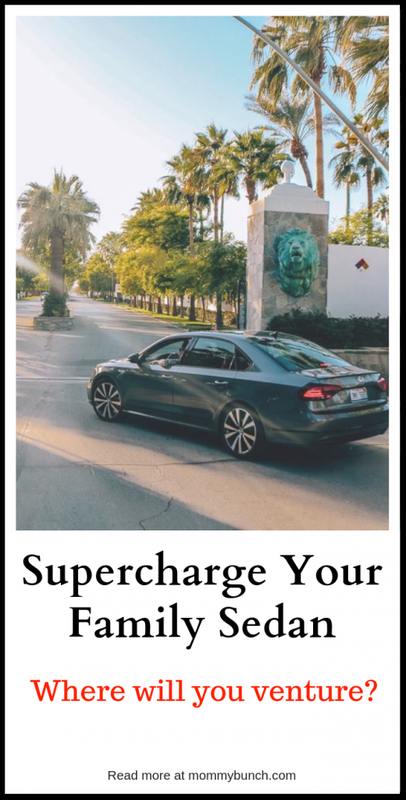 We also had a chance to drive several different cars around the Palm Springs area, do some driving at the BMW Performance Center, and so much more! 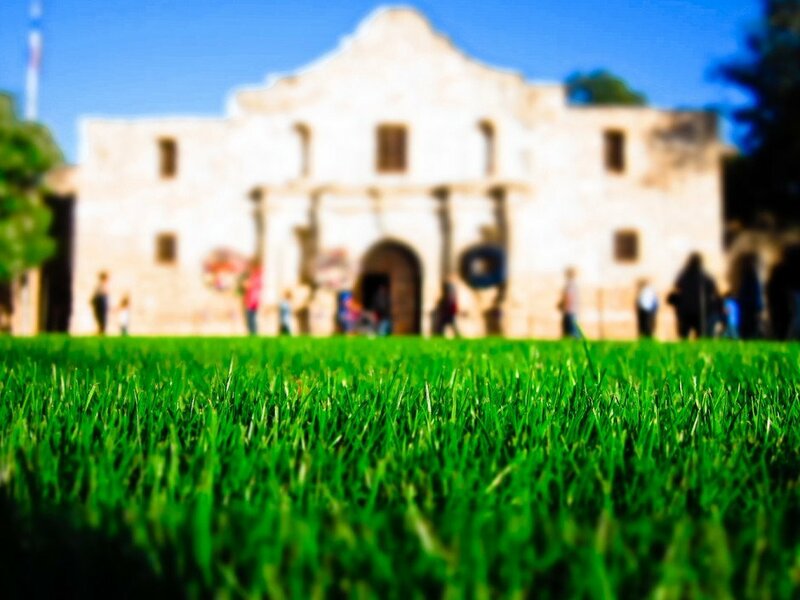 Whenever I am driving around a car to see if I like it or not, whether test driving at a dealer lot or taking a drive for a few days on a loan, there are a few things I always look for. I want to know if it will be a fit for my family — I’m not saying it has to fit all six of us because we have a van for that, but it should fit at least a couple of my kids comfortably should I need to run them to sports practice or elsewhere. The Passat has a lot of room in the back seat and when I sat back there I didn’t feel cramped at all. I also want the drive to be smooth and comfortable. I tend to drive a lot, and sometimes on long commutes so I don’t want to feel stiff when I get out of the driver’s seat. It also has to get pretty decent gas mileage for me to consider it as an option. 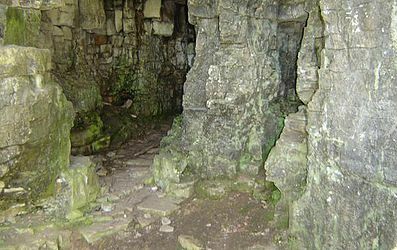 While the driver’s seat was quite comfortable and the ride was smooth, it did feel a little rougher in the back. 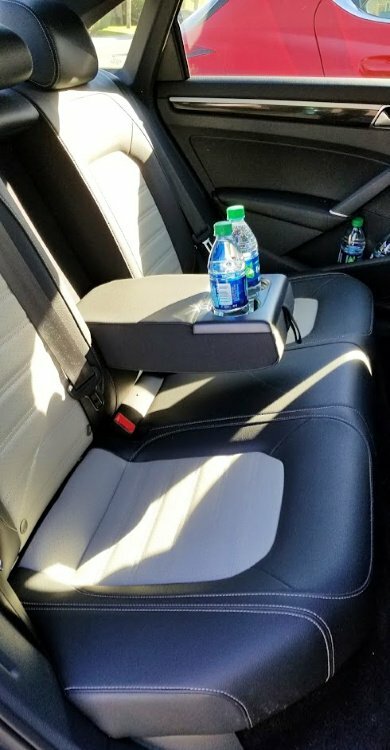 My kids would most likely be perfectly fine sitting in the back, and there was quite a bit of leg room should need to haul your adult friends around as well. Yes, that is my charger cable you see as well. 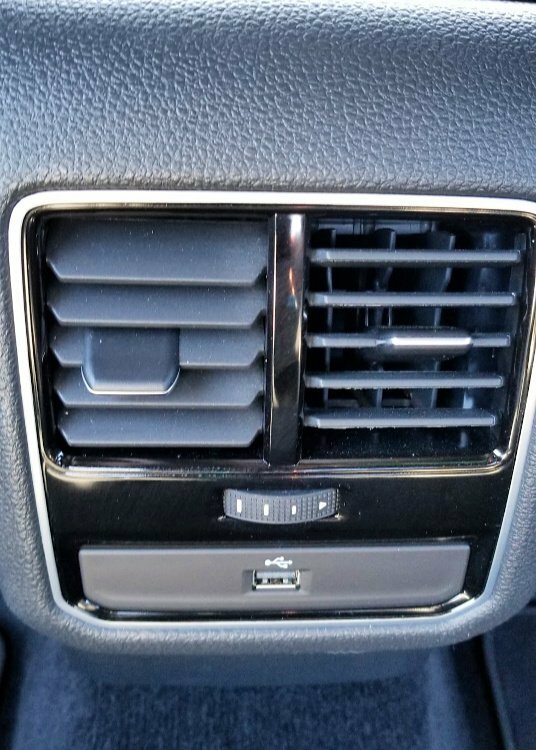 One nice feature about the Passat GT is that there are charging ports in the rear of the center console so you can charge when you are in the back seat. This is great for your friends, or if you need to plug in your kids’ electronics for a long trip. Beyond that, I do like some decent amenities, like collision warnings, heated seats, keyless entry with remote start, rear-view camera, etc. I realize each person has their own set of priorities but heated seats are a must for me during WI winters. I also like a little bit of style when it comes to my vehicles. If it looks cool, I like it. If it looks like something my grandma would be driving around I get turned away. 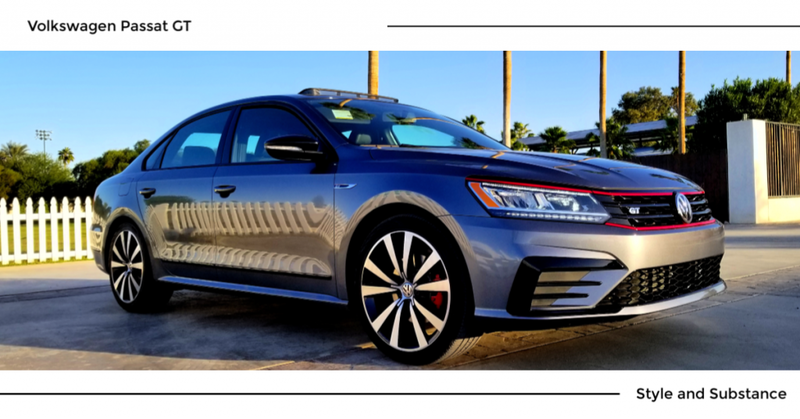 The Passat is quite stylish and The Volkswagon Passat GT has everything I love in a vehicle when it comes to amenities, plus some amazing bonuses. There is a power tilting and sliding sunroof. A V6 engine that gives quite a boost of power yet still allows up to 28mpg (I may or may not have squealed the tires after stopping red light that then turned green while using the manual shifting mode instead of just leaving it in automatic — oops!). And the trunks space on this vehicle is amazing! Overall the Passat is a pretty sleek looking vehicle that offers a ton of bang for your buck. It starts under $30,000 and would be a great vehicle for someone who wanted a little extra power but didn’t want to sacrifice any of the amazing features a sedan normally offers. If you are fresh out of college, or even heading into college, this would be a great vehicle for you. 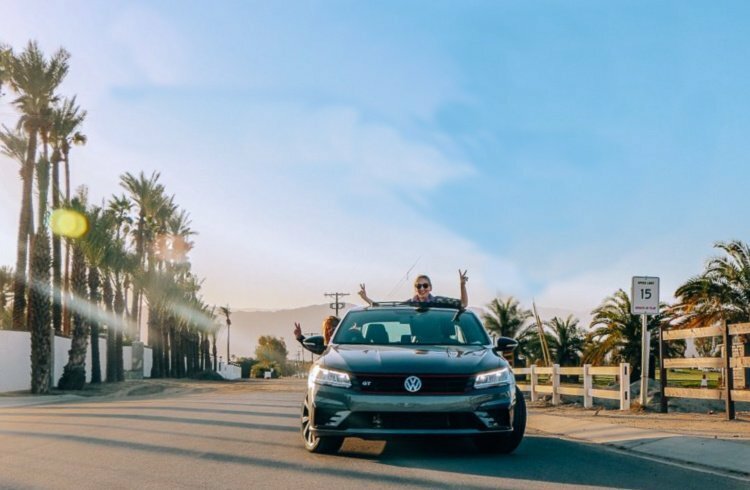 If you want to read all the specs on the vehicle you can head over to the Volkswagen site and check it out, build a model with everything you’d like in it, and see what’s available in your area. Maybe you’ll even end up taking one for a test drive of your own.